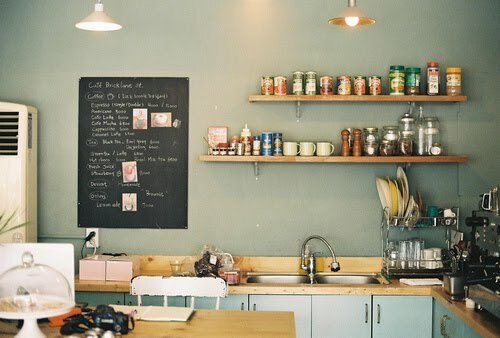 Do you all have any suggestions for good kitchen inspiration or catalogs that would be great for a cute kitchen?? 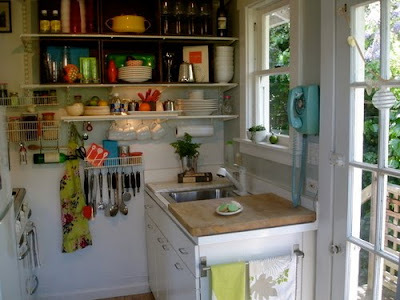 Our kitchen is so tiny (it's seriously probably the same size as the bathroom) so we don'thave much space but I want it to be as cute as possible. Oh yes! 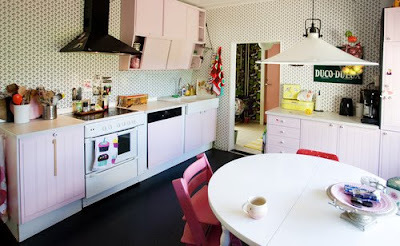 I am ALL about that pink kitchen! All my kitchen items are pink and I love it! 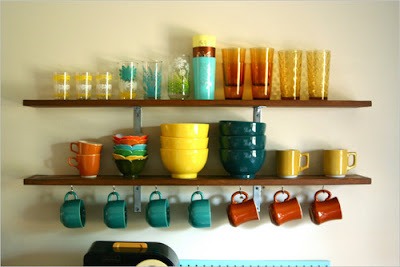 cute pix....just go with one of those. I love love love that first kitchen! It's so me! The pink one is super cute too! i can't imagine your house any cuter than it is! can't wait to see what you do. ps, love your dad. you're lucky. we're about to paint and slightly remodel our kitchen. 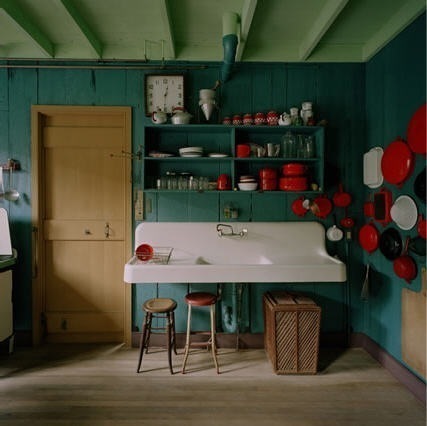 we're also going with a very clean, airy feel. 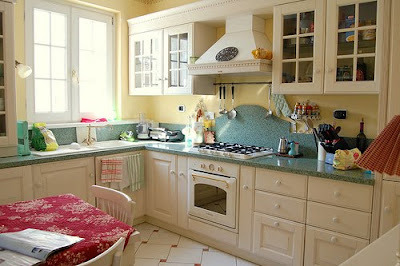 my cabinets have glass pane doors so you can see the dishes. 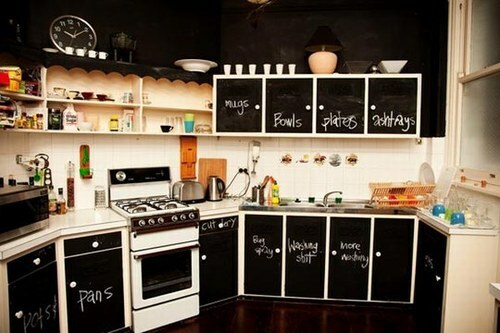 my brother took the doors off his cabinets so you could see all the dishes. 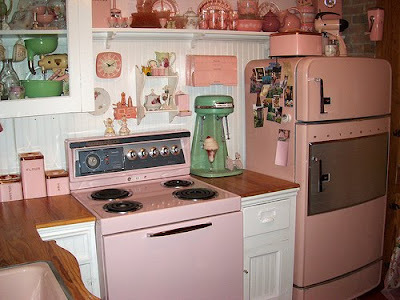 I am inlove with the pink retro kitchen! 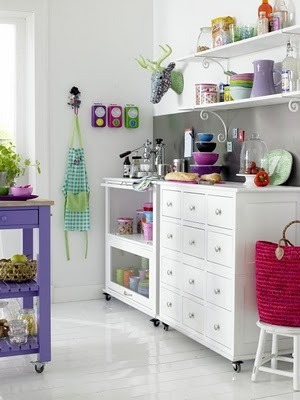 For decoration I think uncluttered, cozy and cute is the way to go! I love the kitchen ware arrangement in third and forth image.